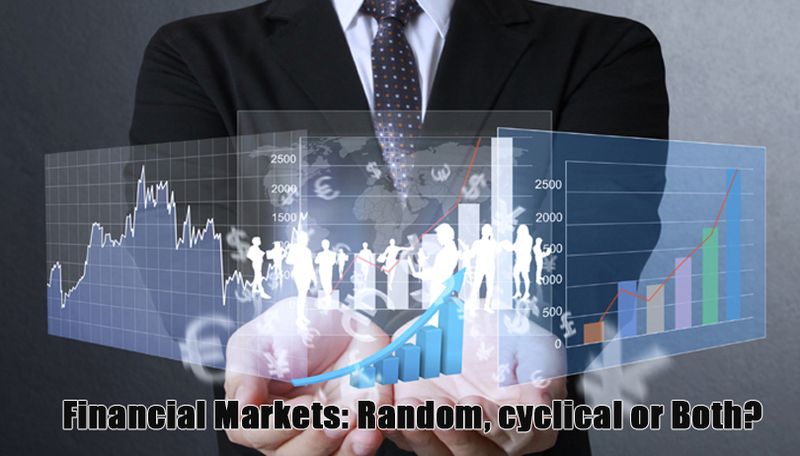 Taking a Look at the Various Natures of Financial Markets: Random, Cyclical or a Mix? 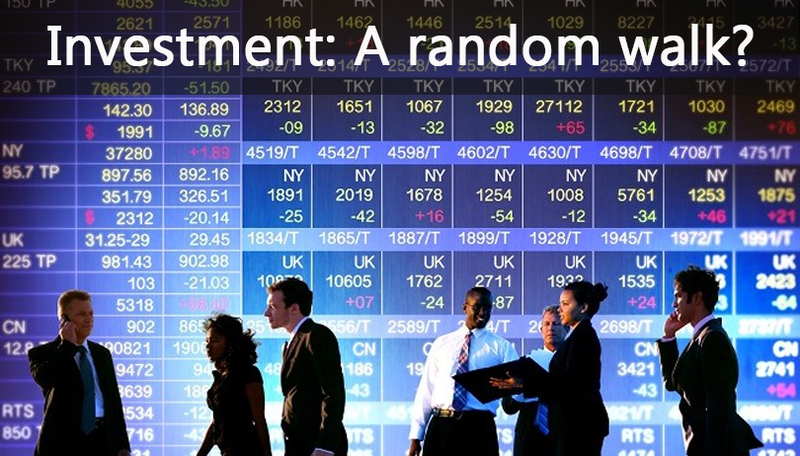 Are the investment markers cyclical or random? The debate and discussions have gone on for long, and there are supporters for both – with each camp claiming about having evidence to support their belief. Random walk proponents feel that the markets tread an efficient path in which a statistical edge cannot be provided by any type of analysis. On the other hand, technical and fundamental analysts suppose that the markets have a specific rhythm that can be uncovered by careful analysis, offering a small amount of advantage at least. The EMH or efficient market hypothesis is the basic aspect of random walk proponents. The idea of EMH states that all pieces of information that are known are priced already into the price structure of a security. Naturally, no recognized information can assist an investor in gaining a market edge. This hypothesis also includes the ideas that every new event of the future is unpredictable. Thus, investors are unable to place themselves in a specific security on an anticipated result of an oncoming event. Read and know how the idea might be countered by technical and fundamental analysts. Fundamental Analysis is the analysis of the present situation of a company in relation to its potential for future growth and sustainability. A fundamental analyst can decide to buy a stock in case he finds that the balance sheet of a company is robust, with less debt and higher than average earnings growth per share. Fundamental analysts cannot agree with the theory of EMH, given that the information cannot be used for an investment decision about potential future price performance. It is easy to understand that the study results appear to be in conflict with the theory of EMF that a market edge cannot be gained by any known information. The EDGAR web page of the website of SEC is a wonderful resource for getting different types of fundamental details on companies, if one wants to conduct research on the advantages of fundamental analysis. The website can be used to get access to quarterly (10Q) and annual (10K) reports along with additional financial details for each company that is listed. Technical Analysis centers on the notion that there is repetition of investor behavior over time. Spotting such patterns can benefit a person, and allow him the possibility to forecast future price movement. Support and resistance are the simplest forms of technical analysis. A good instance of support can be sideways trading of a stock in the range of $20 for quite a few months and then climbing higher. This range can serve as a support area for any correction near-term. The range shows the collective decision of numerous investors to buy stocks in that section. Any return to this range will simply make them go back to the point where they bought their shares. According to technical analysts, investors are unlikely to sell unless there is a major break under that area. The more is the time taken for support area development, the more is the number of investors that it represents. The stronger it will prove in that case. A support area developed just for a day will possibly prove to be insignificant as it represents only a small number of investors. Resistance is simply the contrary of support. Any stock trending under $20 for a time period can experience issues in breaking over that segment. Technical analysts would also argue that human behavior is the cause. In case investors find $20 to be a profitable selling area for starting new short positions or reserving profits on long positions existing at the moment, they will go on doing that until proven otherwise by the market. A support, once broken, can be transformed into resistance and vice versa. The ideas of resistance and support are just guidelines. In the market, nothing comes with a guarantee. Smart investors always make use of a risk-management strategy for deciding when they should exit a position if the market moves contrary to their wish. He plotted a half-point uptick on a chart in case Heads was the result of a toss. He plotted a half-point downtick in case Tails was the result of a toss. This chart that he created was postulated to be looking very similar to a stock market chart. This implied that a stock prices chart has the same randomness as a chart that shows the results of a coin toss series. The claim, to stock market technicians, is not an actual comparison given that Burton G. Malkiel changed the input source with the use of coin flips. Stock charts result from human decisions, and these are distant from random. Coin flips are actually random given that the outcome cannot be controlled. Humans can control decisions of their own. A popular instance of a technician countering this claim is by creating a long-term chart of the DJIA (Dow Jones Industrial Average) that shows the 40-month cycle. The four-year cycle or the 40-month cycle was discussed first by Wesley C. Mitchell, an economics professor, when he found that the U.S. economy entered into a period of recession after about every 40 months on an average. One can observe the cycle by simply looking for big lows in the financial market after every 40 months. A market technician can enquire about the odds of replicating this type of regularity with the results obtained from a coin tosses series. The debate between people who suppose the market treads a cyclical path and those who trust in an efficient market is fairly cyclical, and is expected to continue like this in the predictable future. The answer probably lies anywhere in between. The markets might actually be cyclical in nature with some random elements here and there in the path.